New Delhi: The Delhi High Court on Friday directed the Centre and All India Institute of Medical Sciences (AIIMS) to give reservation to victims of acid attack under Person with Disability (PWD) quota. The direction by the judicature came after one of the victims filed a case in the court over the right to employment. The petitioner, who was the victim of an acid attack in 2004, has challenged an AIIMS notice advertising for the post of Nursing Officer (Group B) as being unconstitutional and in violation of the Rights of Persons with Disabilities Act, 2016. 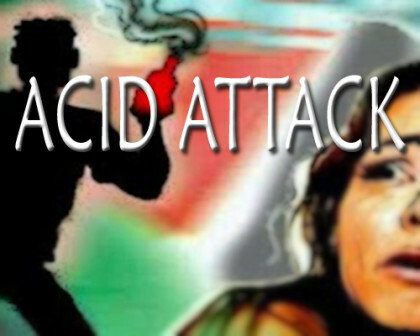 The government in 2016 had announced the inclusion of acid attack survivors in the disabled category so that they could avail reservation in jobs under the Physically Handicapped (PH) category but didn’t issue the notification to the concerned departments. However, it is claimed that the advertisement in question states that thirty-two posts would be reserved for persons with disabilities. On applying online, the petitioner found that there was only provision for persons with ‘one-leg disability’ to avail of this reservation. This effectively meant that persons with other disabilities could not apply for the post. The fact that she is unable to apply for the post, the petitioner stated, is a violation of Section 33 of the Act, which imposes a duty on the government to identify posts to be reserved for persons with disabilities. On a closer look, the Department of Personnel and Training (DoPT) has also rolled out a fresh notification on January 28 ,2018 directing all the central government departments to ensure one per cent of each posts be reserved for not only for acid attack survivors but also for people having low vision, deaf and hard of hearing; locomotor disability. As per the new rules and regulation, each government organisation will have one grievance redressal officer for looking into complaints. The officer is expected to maintain proper records of the complainant and the date of disposal of the grievance. Every case will be inquired within a period of two months of its registration and the action taken by the organisation will be communicated to the complainant with the disability at the earliest.